COVENTRY MESSAGE BOARD • View topic - "When is a pothole not a pothole?" Potholes. One of the most popular things to come up when city residents have a grumble. 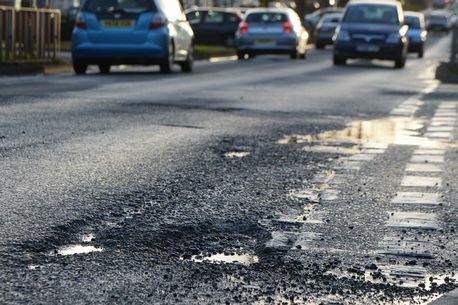 Coventry has recently been awarded funding so more than 20,000 potholes could be repaired. Nearly £7million has been given to repair the roads to keep motorists and cyclists safe. But Councillor Jayne Innes said although the council is grateful for the money, it is a third of what they need if we have another harsh winter. She said: "We are very grateful for the £1.2m from the government, but in context, in 2017/18 we spent £3.1m on potholes. "It is about a third of what we would expect to spend. "We had to put more resources out too last year due to the harsh winter. "If we have another winter like last year, we are going to need to get more money from somewhere." But what exactly is a pothole? What size does the hole in the road have to be before it is classified as a pothole? And questions are often asked as to why potholes haven't been fixed within a certain amount of time, so who do you report a pothole too? Well, we have all the answers. A pothole is where the surface of the road has been worn away, making a hole in the road. They can be deep enough to cause serious damage to your car and even injury to drivers and passengers if a crash happens. Potholes can form quickly and are a hazard to the public highway. Council aim to repair potholes more than 40mm deep within five working days, however anything between 25-40mm could be repaired within 40 working days. That means anything less than 25mm deep is not classified as a pothole. Inspections are carried out every 12 months on all roads in Coventry and preparations made to carry out any necessary repairs. Classified roads (main roads) are inspected on a more regular basis. How quickly the work is carried out depends on how much of a danger the pothole is to road users. This is difficult to judge as all potholes present some risk. It isn't just roads that potholes appear on. The council also look after potholes that appear on pavements. They say on their website that any faults/ trip hazards that are more than 20mm deep in five working days. They carry out inspections every 12 months on all pavements in Coventry and make any necessary repairs. Pavements on classified roads (main roads) are inspected on a more regular basis. Re: "When is a pothole not a pothole?"